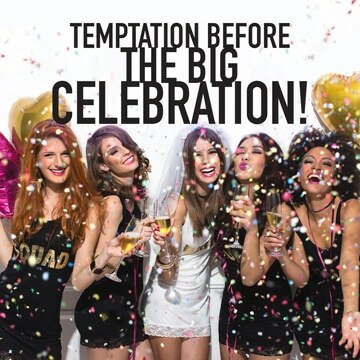 Bachelorette Parties | What happens at Temptation, stays at Temptation! Bring your entire entourage for your last fling before the ring! Remember what happens at Temptation, stays at Temptation! Note: This fee is per person, in addition to the cost of lodging. 2-Night minimum stay required. This package requires a minimum group of 4 people. ** For every 4 people in your group, you will receive 2 bottles of Moët & Chandon, this amenity is per group, not per person. The cost of the package is in addition to lodging fees. Some restrictions may apply. Subject to availability and confirmation. All packages are subject to change without previous notice. You may book directly through us, or through your preferred travel agent.